International Waffle day originated in Sweden. Vårfrudagen, a Swedish name for “Our Lady’s Day” sounds (in Swedish) like Våffel-dagen (waffle day). 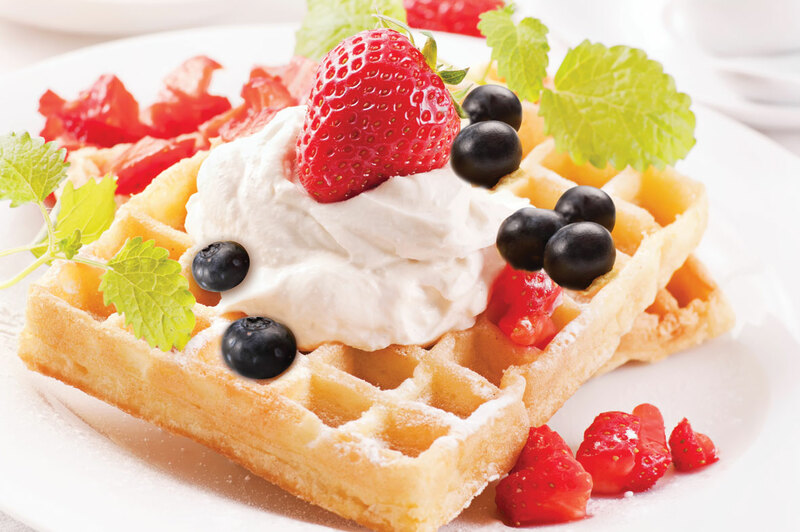 Waffles are descended from the flat cakes baked in ancient Greece. These cakes were prepared with cheese and herbs and cooked between two metal plates. The waffles we know today first appeared in the Middle Ages. Thomas Jefferson’s Belgian cook brought one of the first waffle irons to the US. The word “waffle” is from the Dutch, meaning “wafer”. Eggo Waffles were first brought into supermarket freezer sections in 1953. Parry Gripp created a song called “Do You Like Waffles” because of his love of waffles. 1775 Pecan Day. George Washington planted pecan trees (some of which still survive) at Mount Vernon. The trees were supposedly a gift to Washington from Thomas Jefferson. 1848 William Keith Brooks was born. An American zoologist, he was a champion for the conservation of the Chesapeake Bay oyster. Author of ‘The Oyster‘ (1891). 1867 R.I.P. Friedlieb Ferdinand Runge. A German chemist who developed a method for obtaining sugar from beet juice. 1867 The 2 mile long, 5 foot diameter Chicago Lake Tunnel was activated. It was the first water supply tunnel for a U.S. city. 1914 Norman Ernest Borlaug was born. American agronomist, Nobel Peace Prize winner for efforts to overcome world hunger. Developed the wheat/rye hybrid called ‘triticale’ with higher yield and protein content. 2008 R.I.P. Herb Peterson, creator of McDonald’s Egg McMuffin breakfast sandwich.